join us on november 14 at 6 pm! Come with your family to a special night in the Fellowship House! Bring any items for Operation Christmas Child as well as a snack to share. We will be packing Christmas presents for children that will be sent around the world to share the story of Jesus! Visit the Operation Christmas Child website for information on what items are appropriate for the boxes. 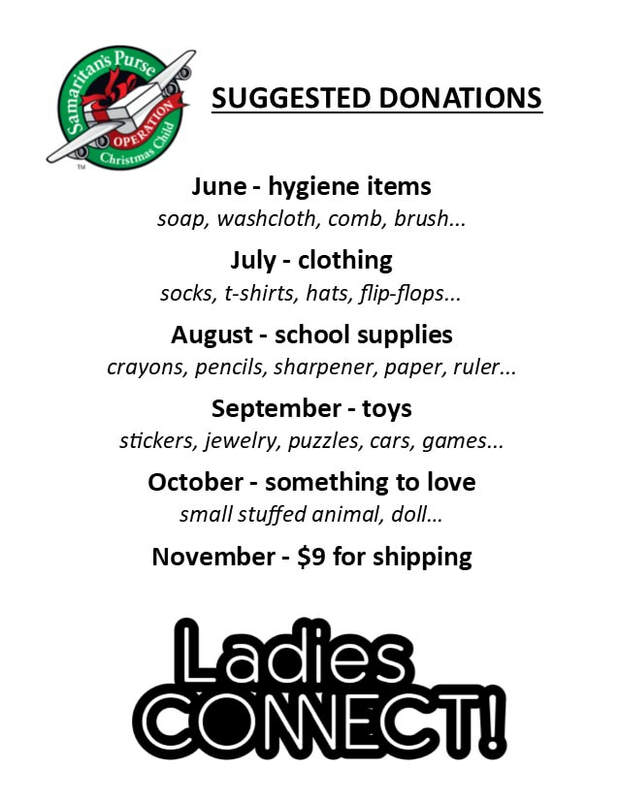 ​Below is a list of suggested donations to collect throughout the summer and fall.